Mary McFadden was an intrepid young woman who made her way to the Zenith City to find success and fame during those heady times, only to disappear from the collective consciousness within a generation. In 1874, McFadden was born to immigrant Irish parents in New Brunswick, Canada. Within a few years, her parents became pioneers in Graceville, Minnesota, where she grew up. Tragically, when Mary was seventeen her mother died giving birth to her thirteenth child. As had happened to many other young women of her day, Mary seemingly faced years of drudgery as a substitute mother to her siblings, yet a year later she enrolled at the University of Minnesota. While the university has no record of her graduating, by 1898 she was a reporter at the Minneapolis Times and had found work as a stenographer at the state capitol building in St. Paul. Contrary to societal expectations, she remained unmarried. In 1903, now 28, McFadden headed north to become the first full-time female reporter for the Duluth News Tribune. But, upon arriving in the Zenith City she was struck down with typhoid, and her career was delayed as she spent months in the hospital flirting with death. Against the odds, she rallied and was released on February 1, 1904. 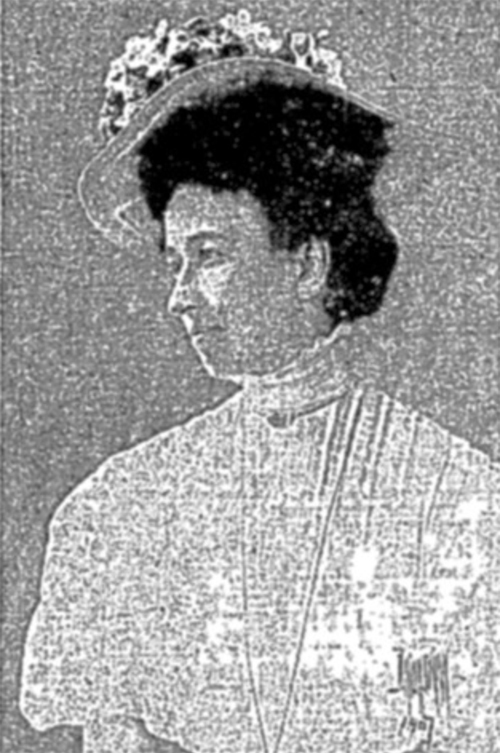 Her subsequent un-credited reporting on events like the sinking of the Mataafa during the deadly November storm of 1905 was so good that she soon earned a weekly column with a byline, called “Sabbath Diversions.” Its minimizing title belies its wide-ranging impact. The columns were a series of brief comments on the news of the day, interspersed with McFadden’s own and others’ poetry and witty aphorisms. In a way, McFadden was a popular “Tweeter” long before the age of Twitter. Soon enough, her column went daily, and the title changed to “News and Comment,” becoming slightly more serious in its discussion of politics. McFadden took advantage of the freedom her columns afforded her, commenting frequently on women’s issues as well as more general politics, especially putting forth a pro-suffrage message. On December 17, 1905, she wrote, “There is some talk of forming a woman suffrage club in this city and masculine protests are vigorous.” This may well have been the beginning of her suffrage activism, which soon became a central focus of her life. And here is a waiting canoe. Who would not envy me? And the little canoe drifts away. And the shadowy pines reply. We are drifting—you and I.
McFadden also took the opportunity to chastise litterers and layabouts. And she definitely displayed a conservative bent, worrying about teenaged girls “idling” on Superior Street in the evening, and writing whole columns condemning the “bad manners” of Duluth’s young people, what with their “slang and chewing gum.” She also placed herself in alliance with the Women’s Christian Temperance Union, who pushed for the prohibition of alcohol. Other than suffrage, McFadden notably championed the fight against the tonnage tax,—instrumental in the creation of the Minnesota Steel Plant and Morgan Park, which J. P. Morgan’s U.S. Steel built to avoid paying the tax. She felt the tax placed an undue burden on the regional iron ore industry. By 1909, in addition to Mary McFadden’s duties as a Duluth News Tribune editorial writer, she had become a leading lobbyist in the state legislature and also served on the board of the Minnesota Woman Suffrage Association (MWSA) as the legislative committee chairman. That same year she achieved one of the few victories leaders of the suffrage movement could point to, gaining support for their cause from the State Editorial Association. Some of you have said that you are in favor of suffrage when the women want it. What women? I am here representing women—wives and mothers, teachers and working women, professional women and artists, useful citizens—and we want the right to vote! I might say in passing that we do not advocate compulsory voting, and no shrinking woman will be torn from the strong and protecting arms of her husband and forced into a booth to cast a ballot, even if we are successful in winning the right….